Could it be? Is it almost the weekend? Maybe we’ll luck out and it might even be a warm one, too. Also, I LOVE those flats. 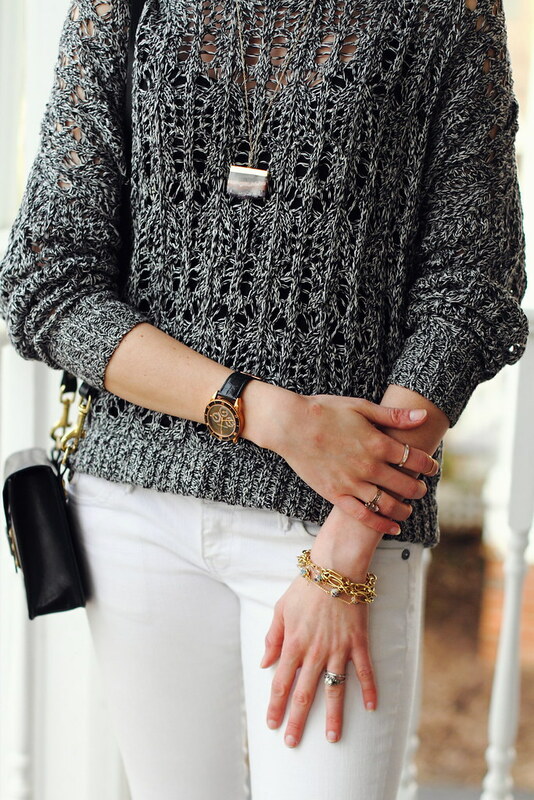 Love the cozy jumper and these cute shoes! And you always add such pretty jewelry to your looks! Chic from head to toe!